Do you recall asking Who's the best person I can talk to about... with cold calls? Or those times when you have to drag yourself to every single trade show out there? You give away hundreds of business cards (and receive tons of them in exchange! ), and hope one or two of those cards recipients will get in touch with you. Luckily, inbound marketing is changing the way brands attract, engage, and nurture relationships with customers. These days, brands are three times more likely to see higher ROI on inbound marketing campaigns than on outbound efforts. But, without a website that can adapt quickly to user's needs, inbound marketing pulls a hamstring, and results slow down, or stop completely. Tactics like thoughtfully identifying buyer personas, tailoring content to each stage in your customer's journey, crafting compelling calls-to-action (CTA), and split testing are central to an inbound marketing blueprint. At first glance, all of these elements may appear independent of each other. But all of them are waltzing in and tapping their feet to the same tune. Too many homepage distractions and prospects don't sign up; too little content to engage them and they'll scramble out. By and large, this is a classic example of a-whole-is-greater-than-its-parts story. A top search engine ranking is next to nothing to a website with a terrible user experience. Of course, there is no definite formula in inbound marketing to which brands should religiously adhere. You've got to adopt a test-as-you-go mindset, the lean mindset, and embrace the unpredictability of the web and your prospects' fickle buyer behavior. This is where growth-driven design can boogie down with the above-mentioned inbound marketing tactics and bunny-hop to the Happy Feet tune. First of all, inbound marketing results do not happen overnight. Nor you should recklessly bulldoze your existing campaigns without a thorough understanding of what goes into growth-driven design, and how it maintains a symbiotic relationship with inbound marketing. Much of inbound marketing's success relies on a positive website experience and your brand's ability to help users find what they are looking for quickly. It is founded on providing value, education, and information to facilitate the buyer's journey. Meanwhile, the agile approach to growth driven web design eliminates all the roadblocks and friction your prospects encounter along the buyer's journey. Relying solely on a 'get in touch with us' link is like going on a blind date back when Facebook and Instagram did not exist. Pre-date social media stalking is out of the question, rendering you clueless about this person you are about to meet in 24 hours. With the GDD approach, you go on a blind date armed with the knowledge of your date's favorite Game of Thrones character, or the five reasons why she's into Benedict Cumberbatch (that she wrote in her blog). Growth-driven design allows you to build to suit your buyer personas. And make ongoing iterations to delight them the most. Therefore, you are given full rein to strategically decide (and reassess later on) your landing page elements such as placement, color schemes, price positioning, and phrasing of your call-to-action statements. If it didn't deliver the first time, you rethink and refine your game plan to convert the highest number of leads possible. GDD also allows you to move further down into the sales funnel quicker -- from an interested prospect to a ready-to-buy customer by studying user behavior once they reach your Thank You page. Perhaps, putting up a link to your free eBook or adding a more compelling call-to-action statement (e.g. get insider info weekly!) in the Thank You page can accelerate the buying cycle speed. These are opportunities to nurture leads down the sales funnel often overlooked and replaced with bland, generic thank you pages. 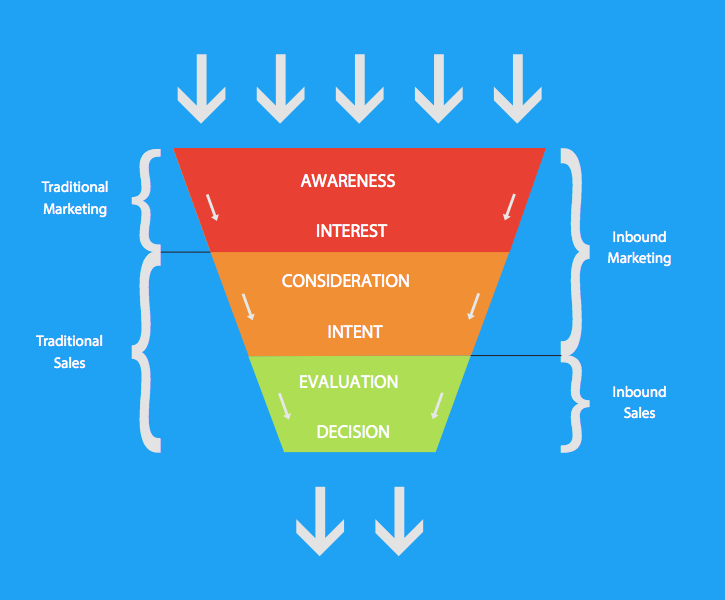 What's possibly stopping your prospects to proceed to the next phase in the sales funnel? It can be anything from a distracting banner to an unoptimized web form to unintelligible fonts in your blog posts. GDD gives you the superpower to not only identify hiccups in your existing conversion process but to instantly order up design changes, whether adding or eliminating a component, that will help the users convert much easier. Often, you'll discover which pages, blog posts or videos make the most impact on prospects. Unfortunately, these certain types of content were not deemed critical during the design process. These can range from content offers, calls-to-action, or product features. When you opt for a traditional redesign, your hands are tied as to how you will promote the content your clients love the most. If a certain eBook, case study, or white paper is crushing it in terms of turning leads to customers, why wouldn't you want to promote that content in the most prominent places of the website? You can't always do this by switch out out CTA graphics in a pre-determined module. Sometimes, redesigning the header to push that miracle content is in order. Growth driven design gives you the agility to do just that. In a nutshell, your brand's UVP should answer a prospect's question: Why I should I choose you over the others? Spotify's Soundtrack Your Life and Evernote's Remember Everything are brilliant UVP examples. Through growth-driven design, you can hypothesize which stage in the lead conversion process your UVP has the most impact and test it. What if it does well when highlighted on your landing page? Or when it's placed in the header? You experiment, test, learn, and refine! If you're still baffled by the 'meh' results you're getting from your existing marketing efforts, growth driven design could be that one piece of the puzzle to make everything come together. Which of those mentioned above are you currently struggling with? Share them in the comments and we'd be delighted to help you out!